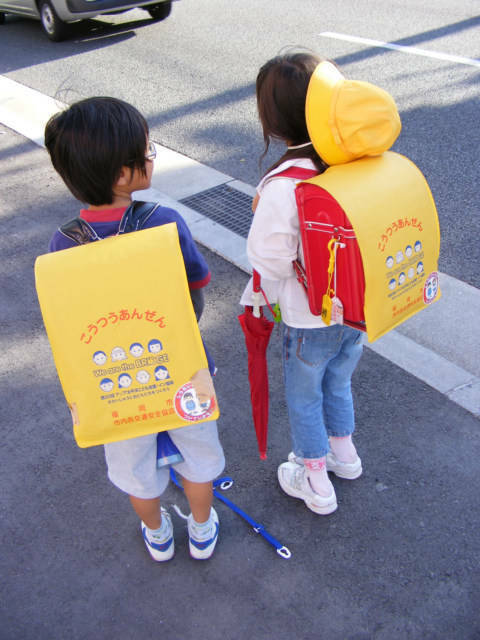 There was an invasion of these small Japanese children running towards me as they rushed home after school. 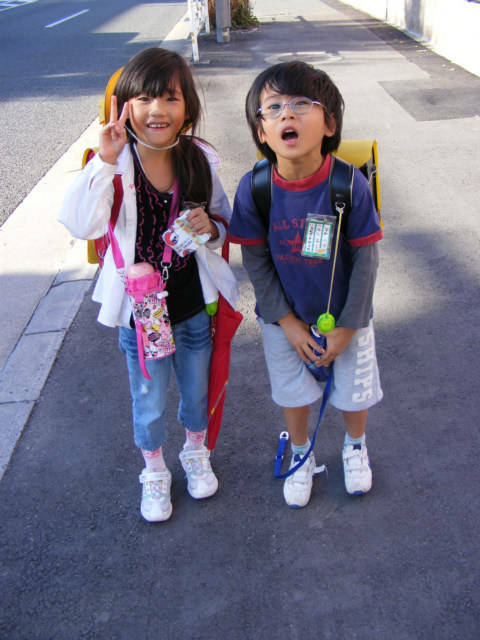 Japanese people generally are reserved and do not make eye contact, that is except for the children. 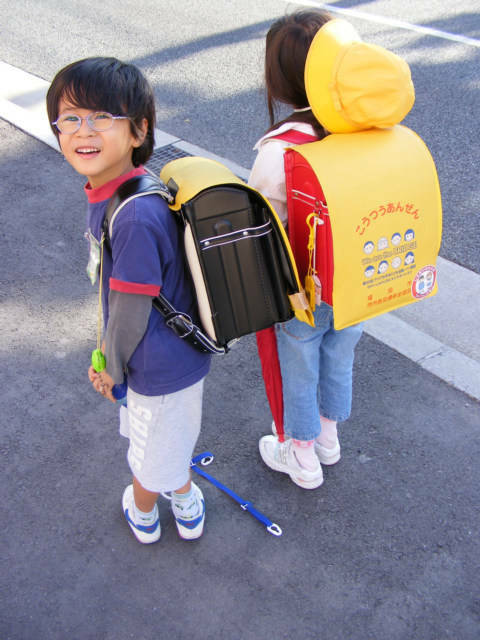 These two with the help of a hand signals, and intuitive understanding helped me to get some fun photos of them with their interesting Backpacks. They are like small boxes, square with a small flap that looks like a Super Heroes. Cute children, dressed sharp, clean and well behaved, a real contrast to many of the street urchins I meet around the planet. Rather funny, they seem to want to help too much, really well behaved. Ok, that is what I wanted, them to turn around and peek. Thanks Japanese Children for a Good Day.